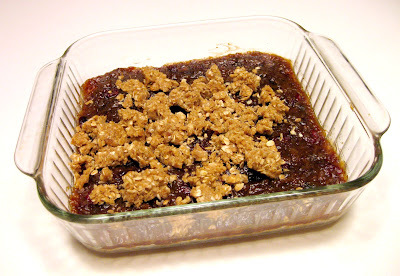 A Good For You and Easy To Make Bar! Cook dates in water in a small sauce pan for 5 minutes. Stir in 1/4 cup cranberries and peel. 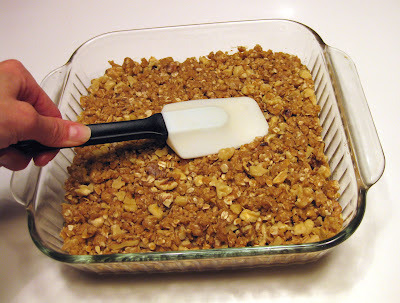 Combine oats, flour, wheat germ, sugar, baking soda and salt in bowl. Stir in melted spread until combined. 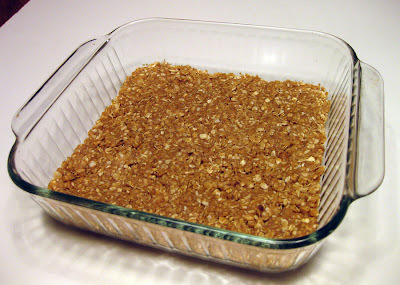 Press 2/3 of oat mixture onto bottom of 8" or 9" square pan. Spread date filling over crust. 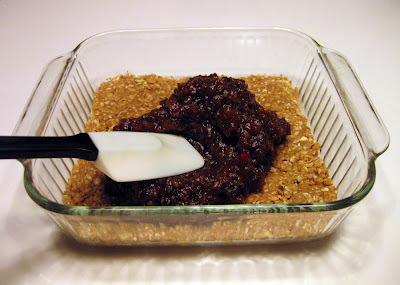 Add remaining cranberries into oat mixture and cover the date filling. Press down firmly with spatula. Bake at 375 ºF for 25 minutes or until light brown. Oooh nice. Your pictures are great. These bars look really delicious. You don't have to feel guilty about eating them, which I love. I think we need to give dates a chance. Don't you think? They're goooood. Wow! Those look fantastic! That just might make it on my "to-do" list for later this week. Looks good! 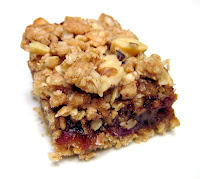 Whatever you make looks fantastic one thing is real the flavor of the bars,delicioso.bambola. the bars look very tasty!! oh they do look easy and tasty! thanks for sharing. Wow, those bars look awesome. I think I have all the ingredients to make them right NOW! Yep, fresh spinach, frozen blueberries and frozen strawberries (although sometimes I defrost the strawberries just a little before adding to the blender). No ice...I think it makes it more watered down. Hope that helps! 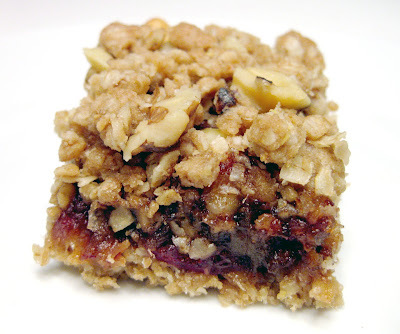 We love crumb bars, thanks for the post. Love the challenge creating something delicios its a great habbit. This is item looking great. I must try.